As I sit here reflecting on my life – as I oftentimes do after reading my Quran – I often ponder about the spiritual fate of my children, I affectionately call the FAB Five. I vividly remember a time when I was in spiritual turmoil about one of my sons because he is gay. See, in Islam – as well as most of the top religions Judaism, Christianity and Catholicism – homosexuality is considered a serious sin. As the night progressed on, I got myself all worked up. I couldn’t sleep. The next day, I couldn’t eat. I just wanted my baby to be normal and stop living this alternative lifestyle so he wouldn’t end up in hell! Didn’t he realize that he is on a one-way ticket to hell?! Didn’t he realize that ALLAH views homosexuality as a serious sin…? Oh – what can I do? How can I stop my baby boy from going to hell?!? One day, I decided I couldn’t take it anymore. Well… really… I let my imagination get the best of me and… I had to get some spiritual protection on my son. So, I stayed up for days – taking nap breaks here and there or eating breaks, watching Islamic videos on YouTube… researching homosexuality on Islamic sites… talking to friends, family members and close co-workers as well as other Muslims about my spiritual concerns about my child and his alternative lifestyle. Each source with its own point of view… nothing that would ease my anxieties about my son’s impending fate. As time went on, I began to talk to my son about his choice of lifestyle every chance I got. I talked about how the Bible and the Quran sternly state that homosexuality is a sin – and not a little sin, but a SERIOUS sin and his life is in mortal danger if he doesn’t change his ways. I really needed him to know that if he doesn’t change his ways, his heart, his intentions, we would be forever separated and would never be rejoined in paradise!?! For days, I continued to feverishly search for some type of spiritual covering for my son. Some type of peace for myself. It became my life’s mission to save my son from forever being consumed by the hellfire. “Nothing… just looking at some YouTube videos,” I said depleted of all energy. I began to explain to the voice on the phone what I was doing and my reason for doing it. I explained that if my son doesn’t stop his homosexual behaviors that he is dooming himself to hell and we will never be rejoined in paradise. See… that voice on the other end of the phone was my father who has been a Muslim for 25 years. As I sat their thinking about the three questions he asked me, listening to this wise man on the other end of the line, he made me realize that while I was so busy worrying about my son’s sins, I should be paying more attention to my own. While I was sitting there in judgement of my son’s sins for being homosexual and researching ways in which I could save him I should have been feverishly researching ways to ask ALLAH forgiveness for my sins! 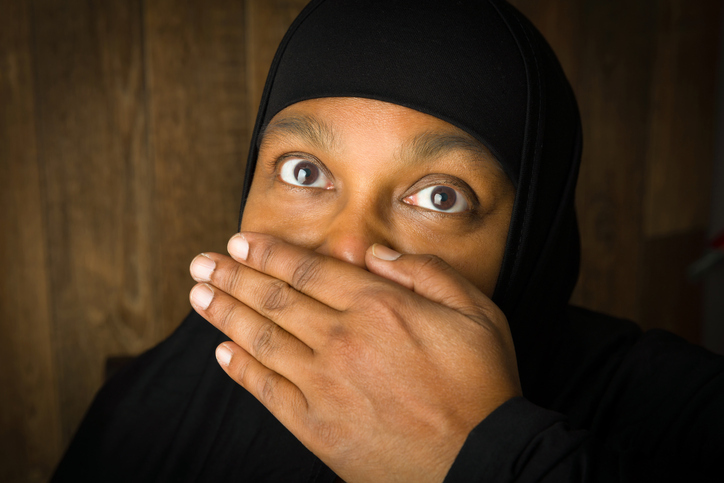 Not only was I guilty of fornication… which carries the same sinful weight in ALLAH’s eyes as homosexuality… but due to my pursuit… I had neglected my prayers which is viewed as a MAJOR sin in Islam… and I should be more worried about that than worrying about my son’s sexual preference! My father reminded me that… YES… any sexual act between two individuals who are not married is considered a sin. One sin doesn’t outweigh the other sin. My son’s sin was no greater than my sin. There was no difference between the two. But, missing my prayers with no real excuse or delaying them because of whatever selfish reason is a higher sin than homosexuality. After we talked for a little bit and we said our Islamic goodbyes, well wishes and hung up, I realized that I had allowed myself to get so consumed with trying to change my son’s sinful ways that I had neglected to take the time to reflect on my own life and change mines… more importantly… say my daily prayers on time!